Due to the characteristics of synthetic leather, there will be some slight odor. Please put the item in the ventilated place for 2~3 days before use. 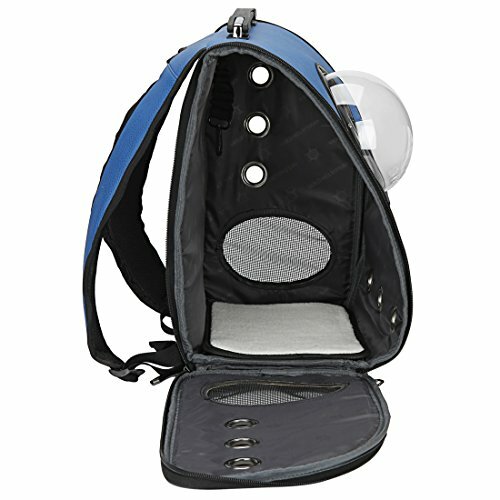 Small pets, such as small cats and dogs can be easy to keep in carriers. Economize your carrying effort, eco-friendly casual life style. 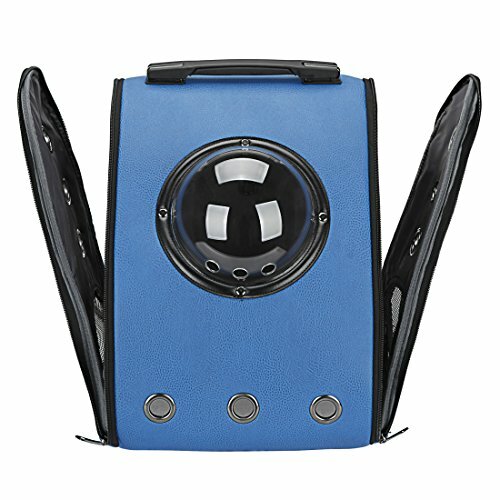 Built-In security leash, mesh panels & ventilation holes, soft washable pad, top & side entries for maximum accessibility. 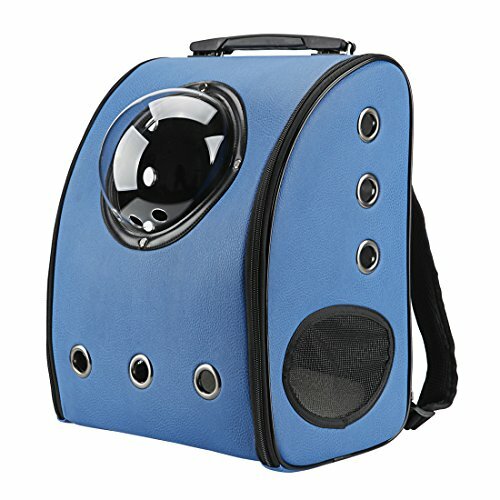 Practically designed backpack cases, satchels, and bags are great for keeping your furry friend with you on all your adventures. 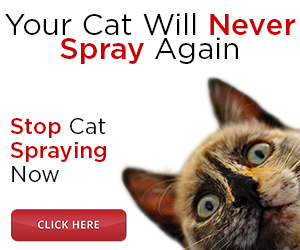 Semi-sphere can stop them from escaping and keeps them safe in your care. Solution-based designs allow your pets to enjoy the scenery and interact with the outside world. 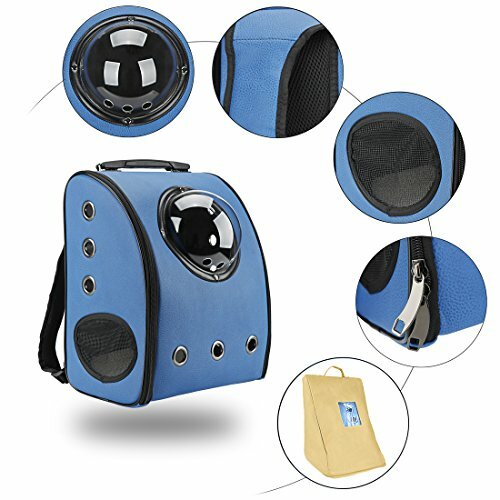 Dedicated to providing the best quality products for their pets and pet-parents, innovative designs, solution-based products, and proprietary collections are a great way to give your pet a window to the world. Semi-sphere window design. 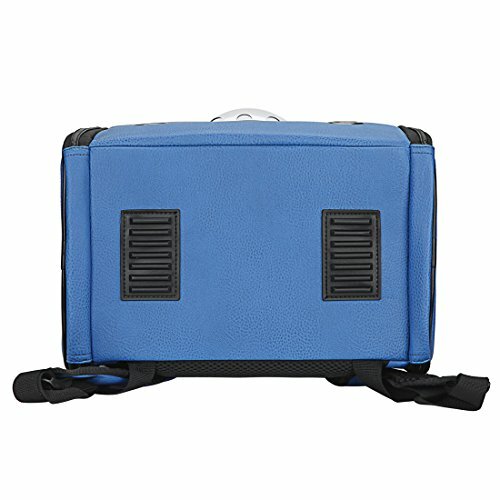 Small pets, such as small cats and dogs can be easy to keep in carriers. 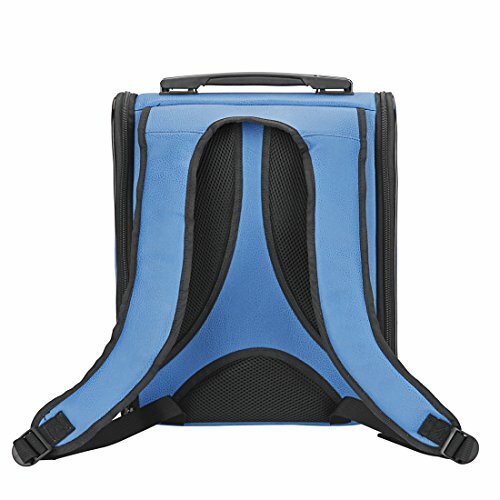 Economize your carrying effort, eco-friendly casual life style. Semi-sphere can stop them from escaping and keeps them safe in your care. Solution-based designs allow your pets to enjoy the scenery and interact with the outside world. Dimension: 12.99″L x 9.05″W x 15.74″H. 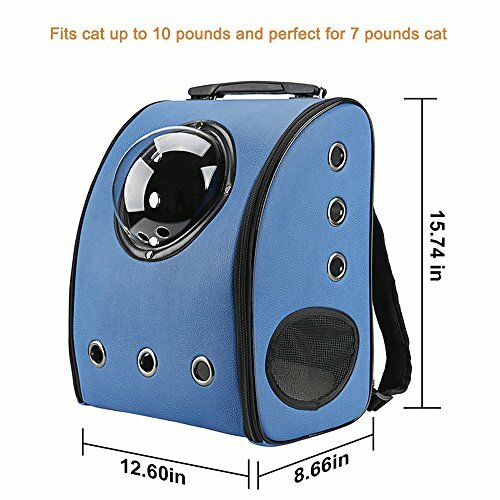 Carrier Weight:4.1 Pound fits cat up to 10 pounds and perfect for 7 pounds cat.